Today the Saturday Schoolyard talk was about warming permafrost. The speaker was Dr. Vladimir Romanovsky, head of the Permafrost Laboratory at the Geophysical Institute at UAF. He gave a really good talk, explaining what permafrost is (permanently frozen ground, basically), why it matters if it melts, and how permafrost researchers go about taking its temperature (with thermistor (temperature sensor) strings down boreholes, mostly). He then went on to show how permafrost temperatures had changed through time as the atmospheric temperature had changed. After that, he moved to predictive modeling based on climatic models. Using even a fairly middle-of-the-road climate model, it doesn’t look too good for permafrost in Alaska by the end of the century. He also showed active layer (the soil layer at the top that freezes and thaws every year) modeling done on a similar basis some years ago, and pointed out that over the 10 years since the model was run it had been spot on in its predictions. The active layer is clearly going to be a lot deeper if the predictions hold. This is not good news for Arctic archaeology. Compared to most of the rest of the world, where archaeologists are left to puzzle out what people were doing from a few stone tools, waste flakes and potsherds, we get really good organic preservation here, which makes it possible to look at questions that can’t be addressed elsewhere for lack of relevant data. 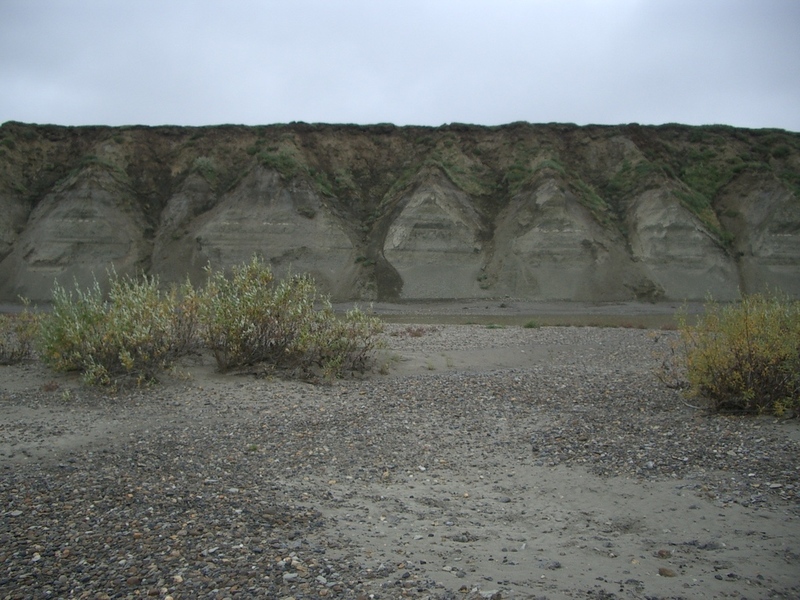 The reason the preservation is so good is in large part permafrost, and permanently frozen sites. Last week, when Claire was here, we were getting a lot of well-preserved 1600-1700 year old marine invertebrates from the samples. They exist because the layer was frozen for most, if not all, of that time. I’m been thinking a lot about site destruction, and how to determine which areas are at highest risk, in order to prioritize field efforts. 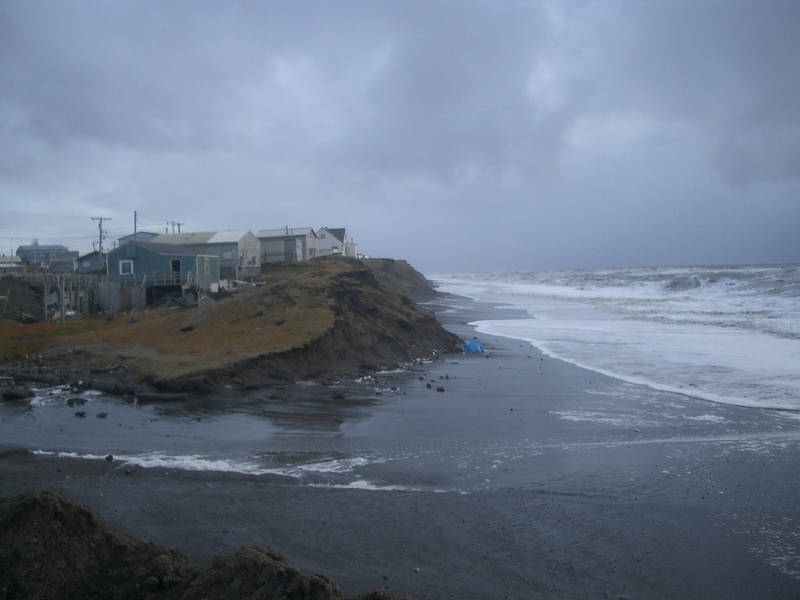 Perhaps because coastal erosion is the big and immediate threat at Nuvuk (and all the other coastal sites I’ve worked at except for Ipuitak, where the immediate threat was the seawall being built to prevent coastal erosion), I’ve tended to focus on that, as well as eroding river banks for sites along rivers. The melting of exposed ice wedges, which then leads to collapse of the overlying ground is also something I’ve been concerned about. And these are major threats, which can tumble entire houses upside down on the beach for the waves to destroy. 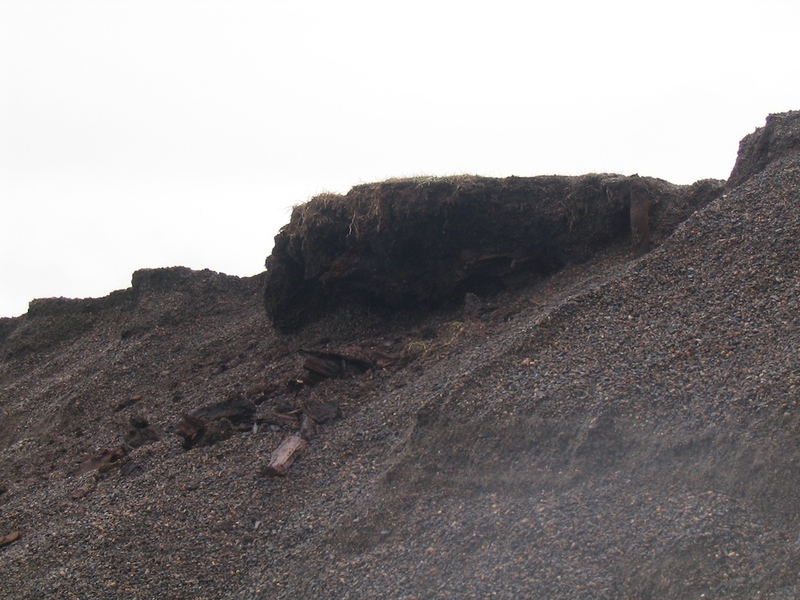 Undercutting by waves caused the gravel to slump from underneath this grave at Nuvuk. 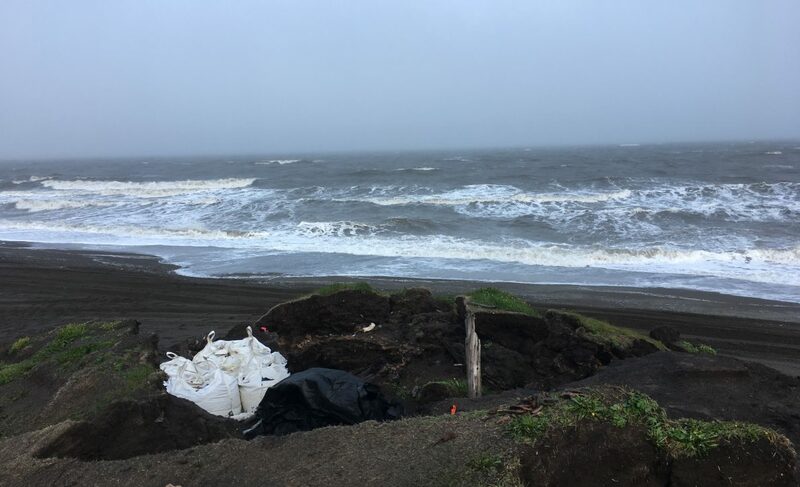 Storm-driven surf tears into the mound at Ukkuqsi in Barrow. Tunnel remnants after the storm. The house was to the left, where only thin air can be seen. 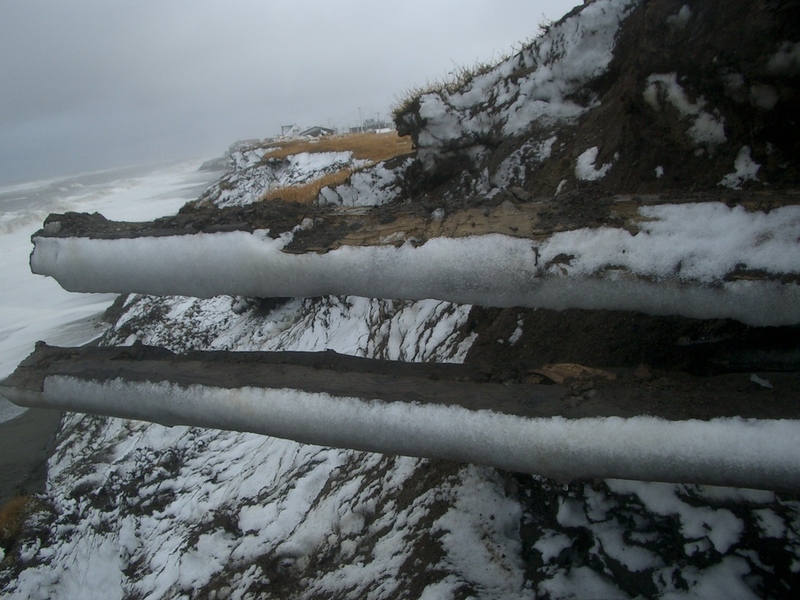 Ice wedge in bluffs near Barrow. They can be much larger. 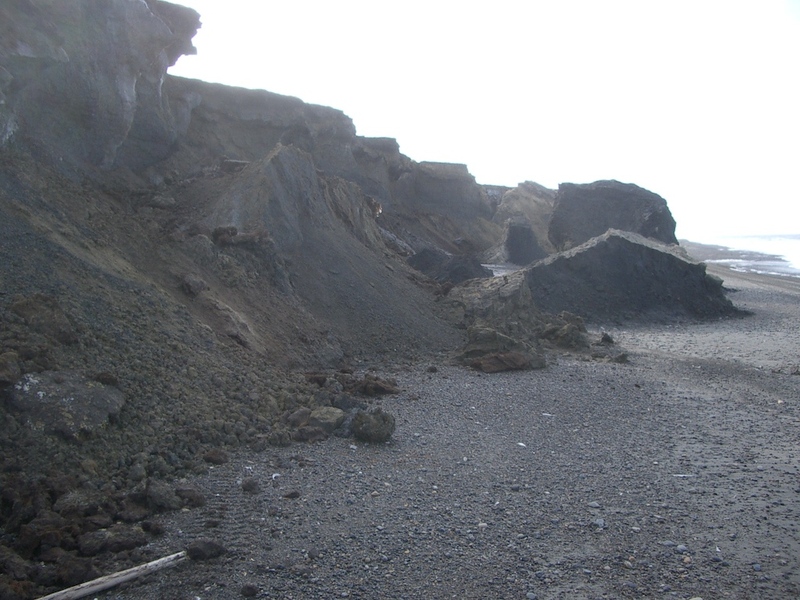 Slump block on beach at Barrow after a storm. Slumps from thawing ground along a Colville River cut bank. 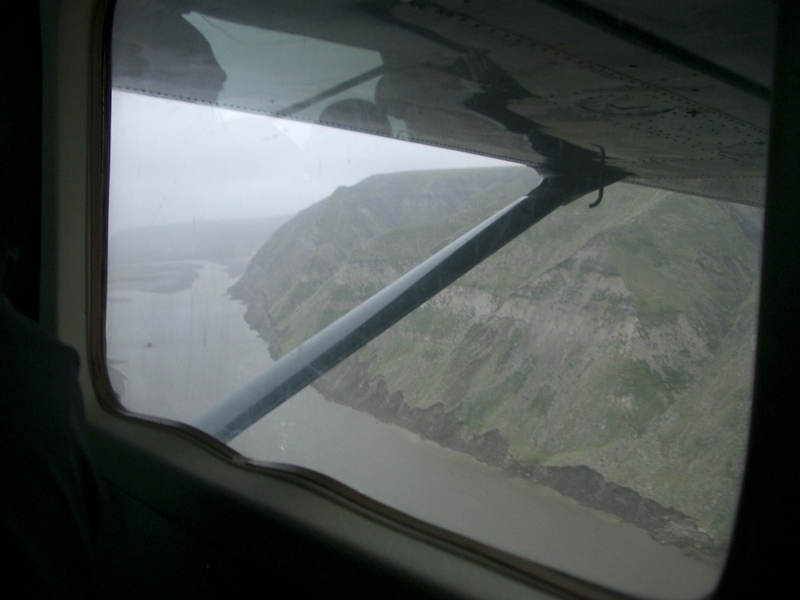 A Colville River cut bank from the air. 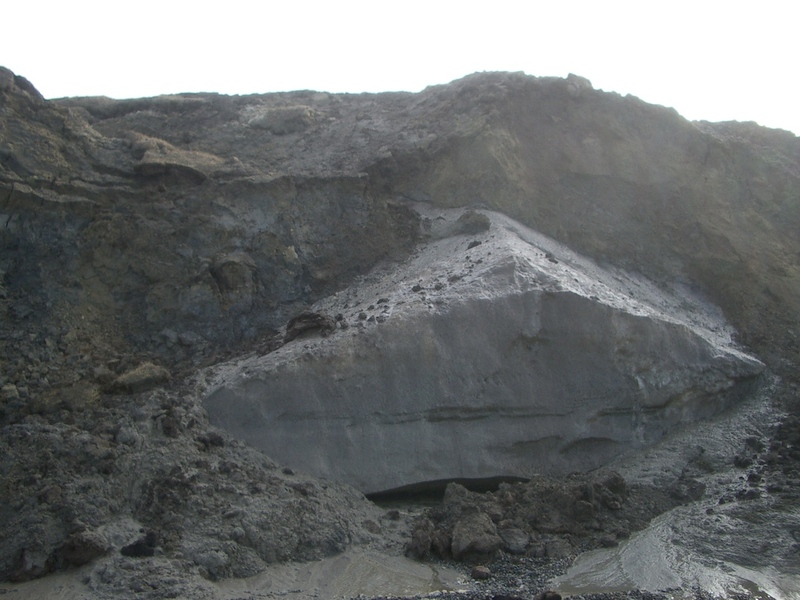 Notice the earlier slump that has stabilized and even grown over, and the fresh cut at the bottom from the river's current. I hadn’t thought much at all about the risks to Arctic archaeology from a significant deepening of the active layer, which will mean that artifacts and ecofacts (animal bones, insects, etc.) will freeze and thaw every year (which is hard on things to begin with, often causing rocks and bones to split) and while they are thawed, they will be decaying. Even now, really old sites don’t have much organic preservation. Even sites that are in no danger of eroding are threatened with the gradual invisible loss of a great deal of the information they now contain. Obviously, if we are going to develop a “threat matrix” for Arctic archaeological sites, this has to be part of it. I talked to Vlad a bit after the talk, and he thought he had students who could be put to work on this problem, perhaps by combining what we know about site locations in Alaska (by no means a complete listing) and the existing models for permafrost change. He also said that one could do active layer modeling for a specific site with a year’s worth of soil and air temperatures, so that’s something we definitely need to get started on.